Aspasia Karfakis, a member of the MGA Knights women's soccer team, makes the grade on and off the field. Residence: Savannah. High School: Windsor Forest High School, where she was vice president of the National Honor Society and Future Business Leaders of America, Student Council member, and captain of the varsity soccer team. Family: Parents, Kostas and Stamata Karfakis, and sisters, Niki and Katina Karfakis. Employment: Full-time student, part-time work at Under Armour. Degree Objective: Bachelor of Science in Information Technology. Activities: Member of the Knights women's soccer team. Career Goals: "I'd like to work for Apple, or as a computer systems analyst to use both information technology and business to design information systems solutions for organizations." 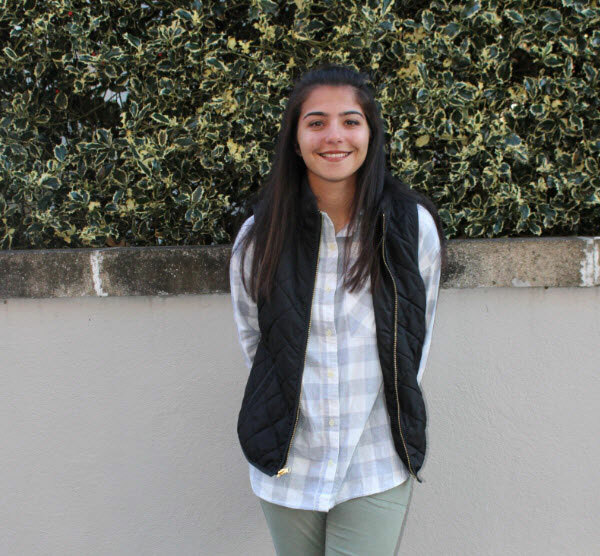 She chose Middle Georgia State University because … "I wanted to be a part of the University’s women’s soccer team." The greatest thing she discovered about Middle Georgia State was … "How special it is to be part of a collegiate soccer team." Her greatest academic experience as a Middle Georgia State student has been … "Maintaining a 4.0 GPA my freshmen year." To her, “greatness” means … "Overcoming adversity and being humble." In five years … "After I graduate I hope to be able to take a year off to travel the world, then try to begin my career at Apple or another tech company."